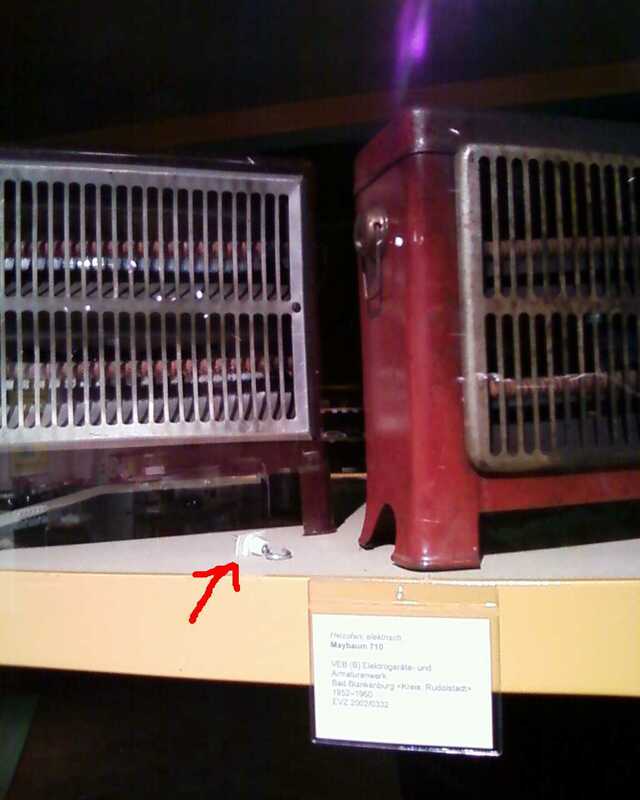 …you discover the reason why one hook in your tool box is missing: because it’s still in the exhibition. Sitting happily between the artifacts. Behind acrylic glass screwed tightly. Thanks Eosclio. Fortunately, we were able to open the small glass front on the side of the rack and fetch it with the grip tongs. A magnet would have been another good idea!